Welcome to 16 Swanton Road, a well-maintained three bedroom semi-detached home situated within the Credit Valley neighborhood of Brampton. This home features a brick exterior; a single car garage; and an unspoiled lower level awaiting a personal touch. The covered front porch opens into a spacious ceramic-tiled foyer with double coat closet and direct access to the garage, while just off the entrance hallway is a powder room with a pedestal sink. 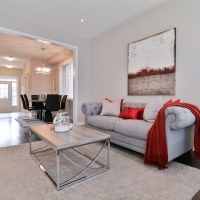 Hardwood floors are found in the open concept living and dining rooms, which showcase led pot lighting and an updated ceiling light fixture, as well as direct access (for entertaining ease) to the family-sized kitchen. Offering ample cupboard storage, this beautiful workspace also features a glass-tiled backsplash; stainless steel appliances; an updated stainless steel double under mount sink and brand new installed quartz counters; pot lighting; as well as a ceramic-tiled floor flowing to the adjacent breakfast area - which features an updated contemporary ceiling light fixture as well as a sliding door walk-out to the rear yard space. A hardwood staircase to the upper level divides at the landing, with one set of steps leading to a family room with an oversized window and a half wall giving the room an open, airy feel - and which also has the potential to be converted to an additional bedroom. The second set of steps leads to the second and third bedrooms, both which are carpeted for comfort and have ample closet space; a 4-pc family washroom, its vanity updated with a quartz counter; and a laundry room with front load washer and dryer, as well as a double closet. The master bedroom features a large walk-in closet with organizers, as well as a 4-pc ensuite with a ceramic-tiled floor and bath area, as well as a vanity updated with a brand new installed quartz counter. This home is within the catchment areas of Springbrook Public School, St. Jean-Marie Vianney Catholic Elementary School, David Suzuki Secondary School, and St. Roch Catholic Secondary School; as well as McClure Public School, Our Lady of Providence and St. Joachim Catholic Elementary Schools, Brampton Centennial Secondary School, and Cardinal Leger Catholic Secondary School for their French Immersion programs. Nearby amenities include a local shopping plaza, Shoppers World Brampton, Sheridan College, golf courses, conservation areas, and access to Hwys 401, 407 and the 410. For more information, contact Preeti Bhatti at (416) 720-1625, or Raj Bhatti at (647) 887-0941, both of Re/Max Active Realty Inc., Brokerage. 7124 Village Walk, Mississauga We are extremely grateful and pleased with Raj and Preeti’s service and expertise for the recent sale of our house and in our earlier instances of selling/buying property. From the initial meeting, everything was made clear and great advice was given to us in relation to all aspects of the sale such as pricing, upgrades required, staging, when to put it on the market and more. They were amazingly efficient and proactive in helping things run smoothly for us. 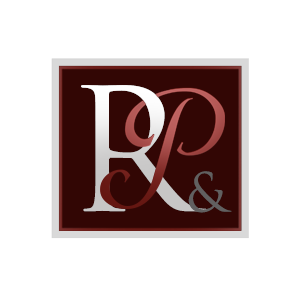 Our relationship with this husband and wife duo goes back a few years and goes much beyond professional dealings. They are a friend and like a family. When you hire this team, you are hiring a team dedicated to getting you through the selling/buying process with ease and care.